This wonderfully distinct site stands out from the pack with its object-based navigation. 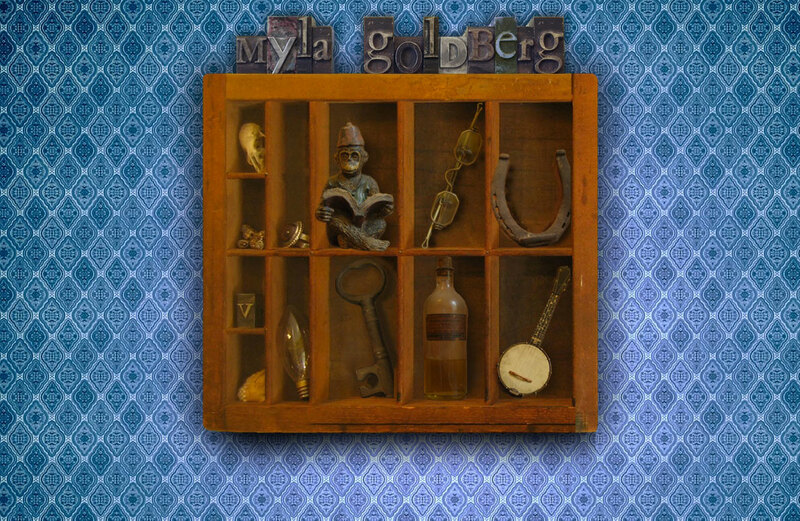 Author Myla Goldberg sent me images of a shelf and several objects from around her house, which I then edited to create a fun, curiosity-provoking home page. Roll over any of the objects and the top of the shelf will tell you where you’ll be heading when you click it. Jump to another page and the shelf shrinks, providing ample room for expanding content below. Myla Goldberg is a the bestselling author of three novels, including Bee Season, which was a New York Times Notable Book for 2000, winner of the Borders New Voices Prize, and a finalist for the Hemingway Foundation/PEN award, the NYPL Young Lions award, and the Barnes & Noble Discover award. It has been adapted to film and widely translated. Myla’s short stories have appeared in Harper's and Failbetter, among other places. Her book reviews have appeared in the New York Times and Bookforum.